The brakes may be put on the much-lauded Alive After Five scheme after the results of the pilot showed that footfall in the city centre was lower between October and December 2018 compared to the previous year. Council bosses had hoped the scheme, which launched on October 1, would encourage more people into the city centre in the evenings, after drawing inspiration from a similar initiative in Newcastle. The scheme offered free parking from 5-8pm at Chapel Street, Denburn, Frederick Street, West North Street and Marischal College council-run car parks. A report, which will be presented to councillors on Thursday, said the data fails to demonstrate the initiative had “any impact” on increasing the footfall in the city centre. Meanwhile, data from Bon Accord and St Nicholas shopping centres, who also took part in the scheme, said their average occupancy did “not significantly alter”. The proposal to abandon the scheme has been slammed by the SNP opposition who said more time was needed to see results. Jackie Dunbar, the SNP’s operations spokeswoman, said: “The administration removed the scheme from their budget on Tuesday, so it’s clear the Alive After Five scheme has already been stopped dead in its tracks by the Tories. “Given Councillor Lumsden previously referred to this as a key measure of support for city centre businesses, you would have thought he would have allowed the scheme more time to succeed as it has in other cities. But John Wheeler, convener of the city council’s operational delivery committee, said the figures “speak for themselves”. Councillors have been asked to agree the council continue to look at whether there are “appropriate means” of supporting the strategy through working with local transport providers and Aberdeen Inspired. 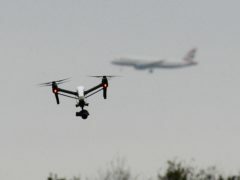 David Phillips, operations director for First Aberdeen, said that while they were hoping the pilot would be a success, the results were not a surprise to them. He said: “The outcome perhaps reflects the changing social patterns of the population. The city centre is competing with online retailing and activities. Adrian Watson, chief executive of Aberdeen Inspired, said: “We continue to work with businesses and Aberdeen City Council to explore options for further developing our wider Alive After Five strategy. “Part of that discussion will be on how we continue to draw more people into the city centre in the evening, and that will include those who choose to bring their vehicle. “Aberdeen Inspired has introduced a range of initiatives geared towards a buoyant Alive After Five strategy. Craig Stevenson, Bon Accord centre manager, said: “Bon Accord works closely with Aberdeen Inspired on a number of successful initiatives working to increase visitors to the city. If approved by councillors next week, parking charges will be reintroduced at the five car parks from April 1.